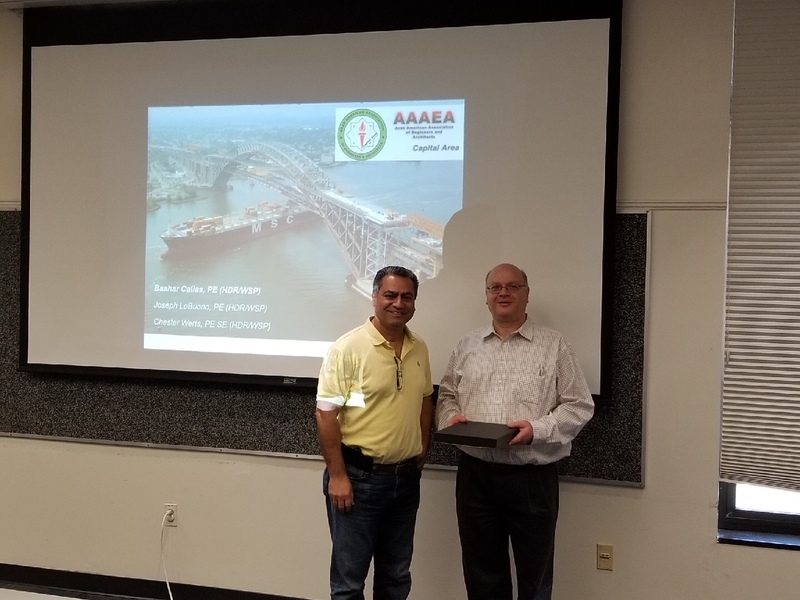 On Saturday 5/12/2018 Bashar Callas, a bridge Engineer with 30+ years of experience and currently working for HDR Engineering, shared his experience working on the renovation of the Bayonne arch bridge that connects New Jersey to Staten Island in New York. 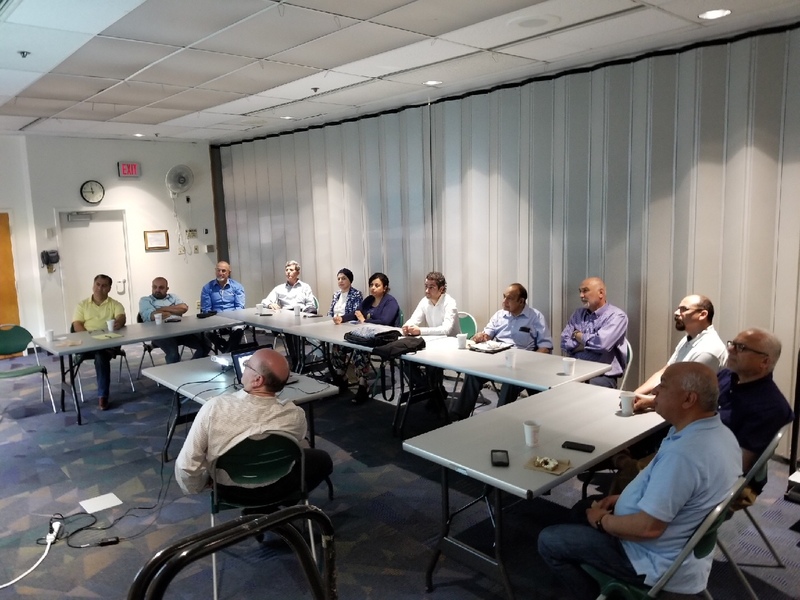 Mr. Callas presented all aspects of the "Raise the Roadway" project from design, manufacturing, delivery, time, cost, project management, and logistical prospective. 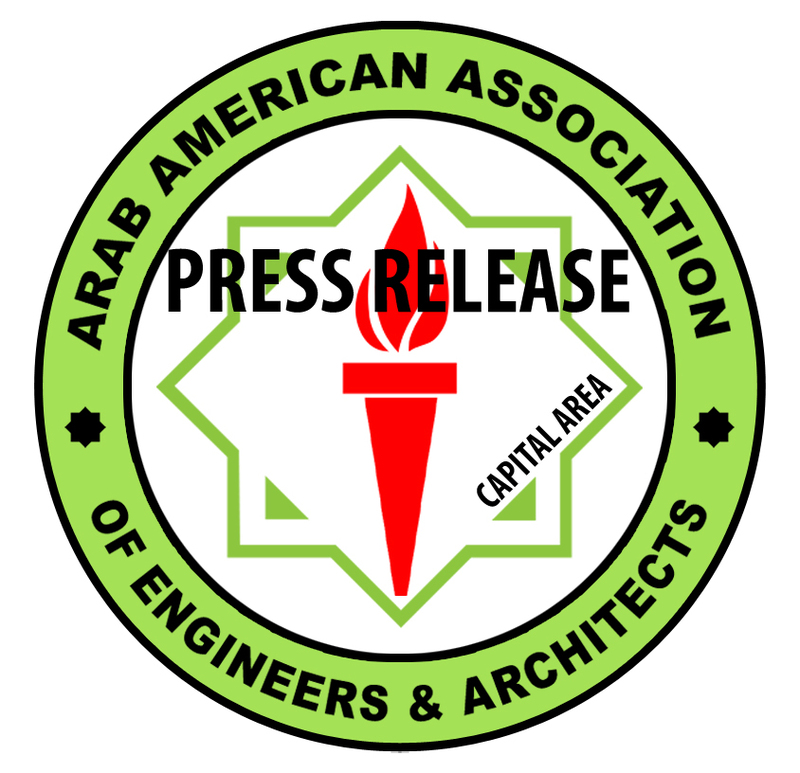 He discussed design and cost trade-offs and additional challenges that influenced the decision making process throughout the project including but not limited to maintaining traffic flow during construction, eminent domain, weather among many others. The project was designed to provide the additional clearance that facilitated the passing of Super Panamax ships through the Kill Van Kull strait. 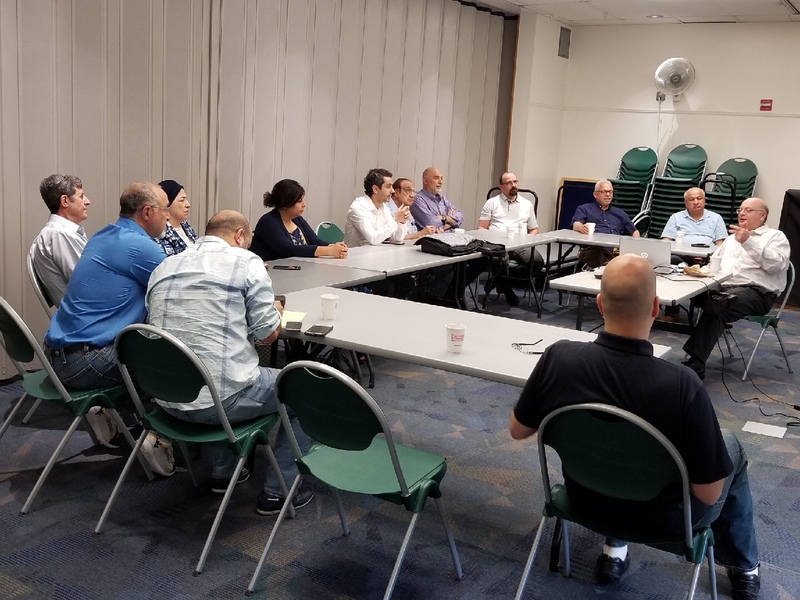 The Capital Chapter of AAAEA is thankful for Mr. Callas for his time and for sharing his experience that was very informative to all attendees and looking forward to hosting him again for future events.